I think that the organisers of today’s race need to go to Berlin. There were no starting pens based on times. They just let 35,000 people sort themselves out. An hour is a long time without a toilet. To make it even worse people who had paid €100 extra were in big pen jogging up and down in front of us proles. One of the proles tried to jump across into the money pen but was quickly captured by a big security guard and returned to where he belonged. I don’t like being a prole. I think that I should have skipped the wine on Friday and Saturday. The hardest thing about racing in Spain and Portugal is that the wine is so good it’s almost impossible not to drink it. It’s fine if the temperature is reasonable but anything above 15 degrees and it’s misery. Should have skipped it. I think what attracts the 35,000 people is the start on what looks like the Golden Gate Bridge from San Francisco. I went on a walking tour yesterday so I know that it’s actually modelled on the Oakland Bay Bridge. Anyway it’s a very big bridge with a trainline underneath that you use to get to the start. It’s kind of scary to run on because the fast lane is a just a mesh grid and you can see the water below. It’s very long, about 3km, plenty of time to pick your way through the people who paid €100 to jog up and down in front of you. I think that the descent off the bridge with a tailwind was good preparation for my sub 2:30 attempt in Boston. Based on those two miles Boston should be easy. Michael Herlihy should be worried. I’ll be insufferable when it happens. I think that I preferred being too warm with the tailwind. Once we got down off the bridge we ran very fast for about a kilometre with the wind. The elites ran past on the other side of the road in a big pack, a big pack of elite runners makes a funny sound, it’s sort of like a Tesla, I’m pretty sure I don’t sound like that. I think that I thought I was stronger than the wind today. I had a nice little pack to run with into the wind. Two guys were taking turns with me up until about 11km, it was great fun almost easy, we even had a hand signal to changeover. A few other guys sat behind us polite fools and then ran away from us at 11km. Being polite doesn’t pay off in running. Rudeness is the best way. I think that my body is giving up on me bit by bit. It was very bad all last week. Different niggles everyday, right ankle, right knee, left calf. The sort of niggles where you worry if you’ll even be able to run. Once I got to Thursday this week I was happy as two easy days normally heals everything. As usual I was right. I was perfect this morning. No niggles. I think I need to practice concentrating in races. I blame my phone. 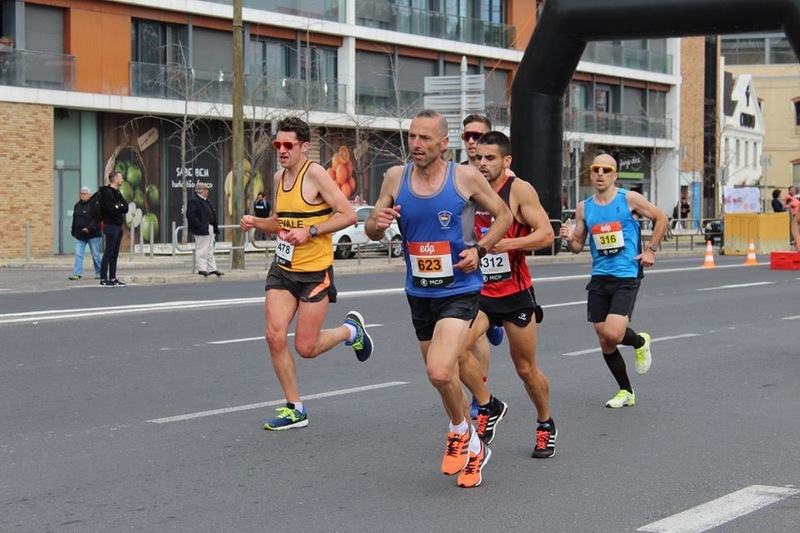 I find it very hard to focus on long races, 5ks and 10ks are fine but in a half it’s so long, it’s like a boring film, about 50 minutes in you just really want to check Twitter in case something has happened. 50 minutes seems to be my limit. Today it was the same, after the 15km water station I just forgot what the point of the race was and suddenly there was a big gap between me and the guys I was running with. I wish I’d concentrated. I think that my favourite part of this race was the free Solero ice cream afterwards. More races should give free ice cream. I also got interviewed by some TV people after crossing the line because it was St Patrick’s Day. I have no idea what I said because I’d just crossed the line. It’s very hard being on TV. I think that today’s performance deserves a headline in the Avondhu like “local man runs respectable time in Lisbon Half Marathon”. 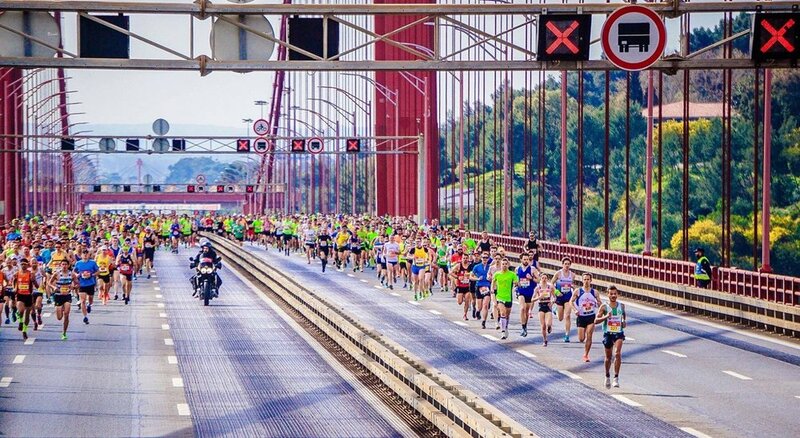 If you are in anyway fussy about races don’t run Lisbon, go to Berlin or Barcelona, they’re proper races, if you don’t care and just want to run across the big bridge then it’s great fun.